I guess I should give homage where homage is due. The end of February my sister had a birthday. It was one of those "big" birthdays, the kind that have a zero on the end of them! I wanted to do some special things for her, and I had the idea that I would paint a portrait of her dog. 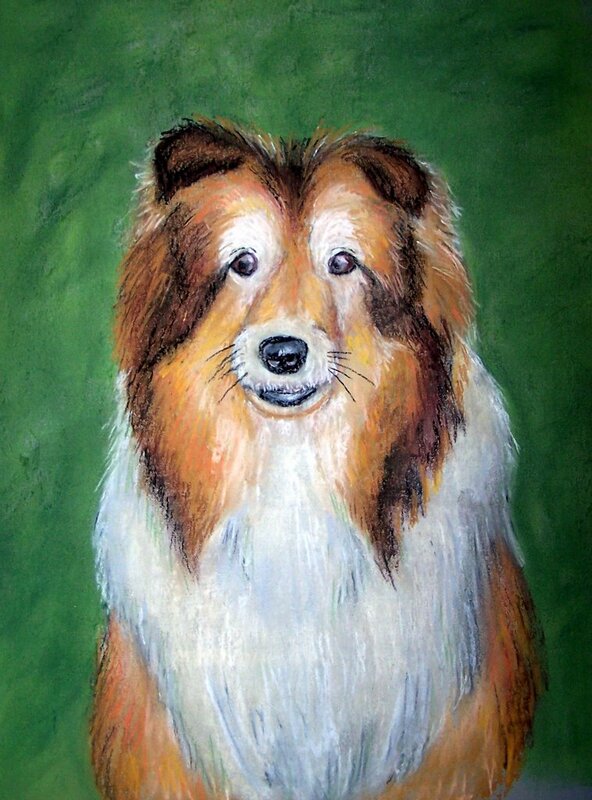 I had never painted a portrait of a pet before so it was a bit presumpuous of me. However Honey is one of those photogenic dogs who just looks so darned cute no matter what view you get of her, so she seemed like a good candidate to start with. So this was my very first pet portrait. I was actually pretty happy with how it turned out, and it looks just like Honey indeed. Now I'm practicing painting my own pets, and if I get successful at it maybe one day I'll paint pets for other people too.